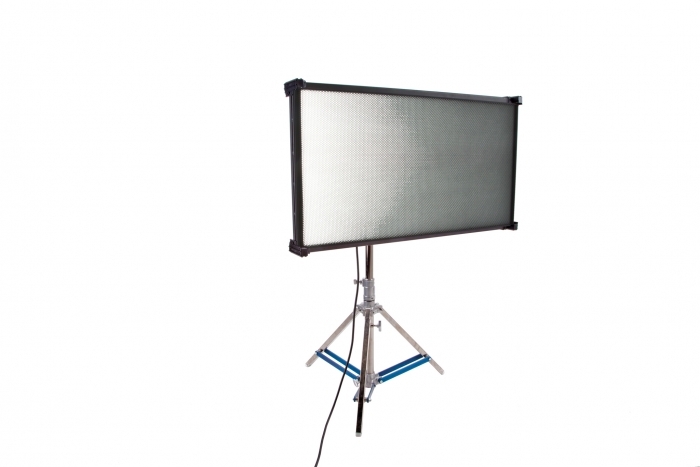 One of the largest LEDs in the industry, the Celeb 850 measures 114cm x 66cm. Light output is 1251 LUX at 3m but only uses 2.2A (240VAC).Kino Flo’s new innovative Celeb 850 DMX LED is a soft, cool LED ideally suited for today’s growing demands for energy efficient, portable, yet color-correct LED lighting. The center mount is ideal for location shooting and allows the fixture to spin 360 degrees to produce a wide range of desired angles. For further control, the center mount can also rotate at 90° stops. Pull locking pin and turn counter-clockwise to unlock. When the fixture rotates to a 90° angle, the fixture will "click" into place.LED Technology As with all Kino Flos, the Celeb’s soft, lustrous color has been specially formulated to match the spectral distribution curves of HD film and video cameras. With a high color rendering index (CRI 95), the Celeb operates coolly and flicker-free, even while dimming, and maintains its True Match® color temperature without any color shift. 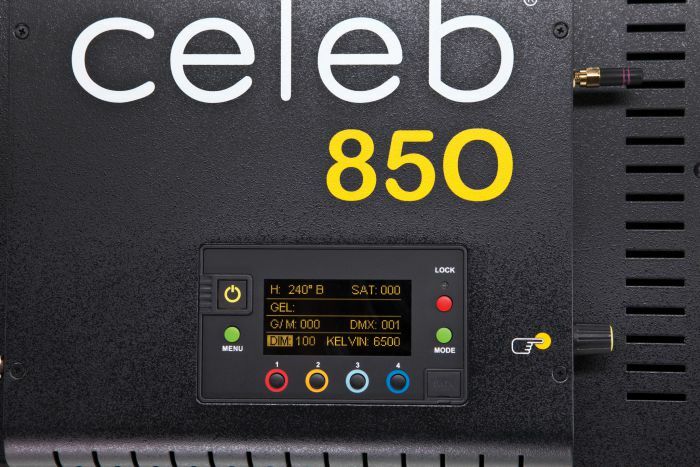 The Celeb 850 has three Menu options, one white and two color menus. Those who prefer to work with white light can use the "white menu" that gives the user access to Dimming, Kelvin and Green/Magenta control channels. Kelvin range is from 2700K tungsten to 6500K daylight.In the color menu, the Kelvin range travels from 2500K tungsten to 9900K daylight, and Kino Flo has set up a fourth channel called Gel. 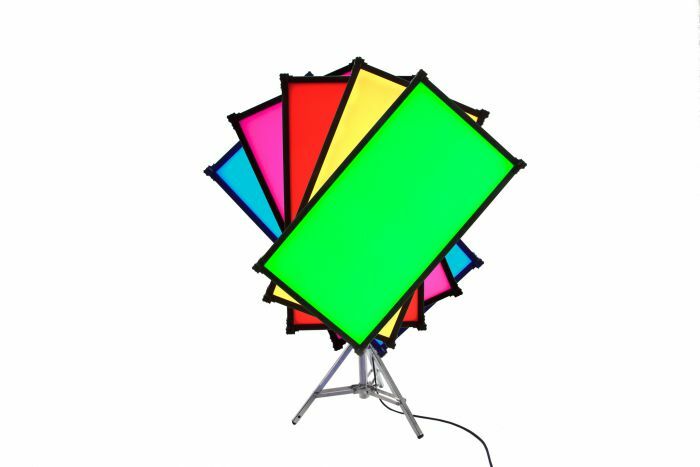 The Gel channel includes Kino Flo presets such as blue & green screen, sodium vapor, mercury vapor and over 100 well-known lighting gels. In addition, there is also a fifth channel called Hue Angle and sixth channel, Saturation. These two channels behave similar to a traditional color wheel, where you have white light in the center, and the Hue angle determines the color along a 360-degree range, and Saturation determines how much color is applied. The second color menu provides individual red, green, blue (RGB) control. The RGB menu is a great way to work with apps with predetermined RGB presets or color wheels. The Celeb has a 160° beam angel and comes with a 90° Honeycomb Louver.The Kino Flo high grade plastic Honeycomb Louver controls and focuses the light which narrows the light spread with minimal light loss. A 60° Honeycomb Louver is also available as an accessory. Barndoors are sold in sets of 4. They are designed so that they can be individually mounted. 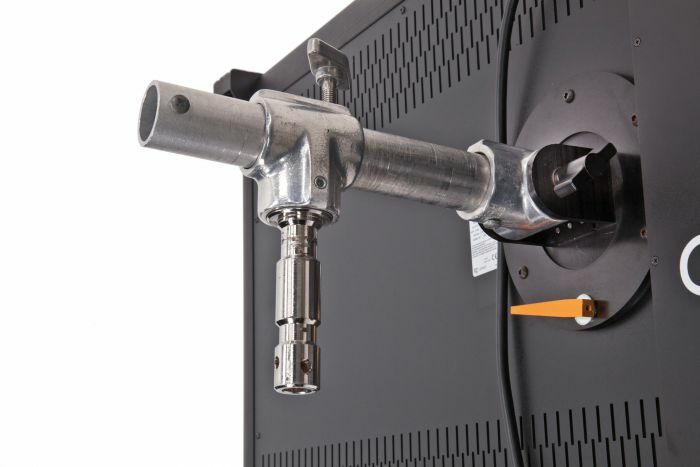 For Kino Flo, heat management is a critical design element of fixture design. The physical heat or buildup heat within the LED fixture will directly influence the color temperature, lumen performance and life of an LED. 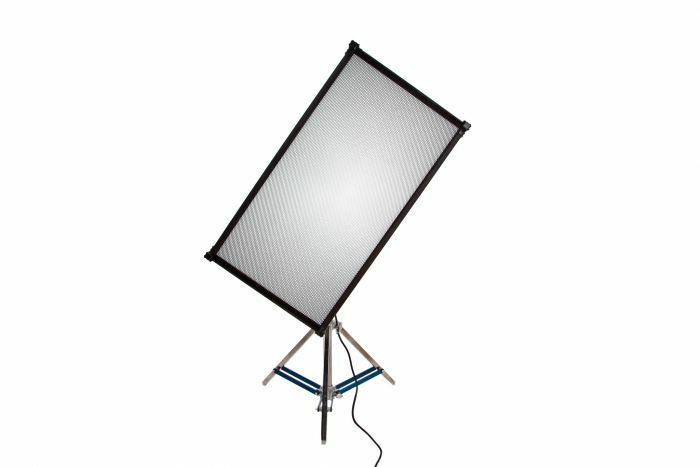 The Celeb’s unique design operates coolly, consumes very low energy and is properly ventilated to maintain a stable color temperature.A well maintained temperature extends the lumen maintenance, color temperature and life of an LED. 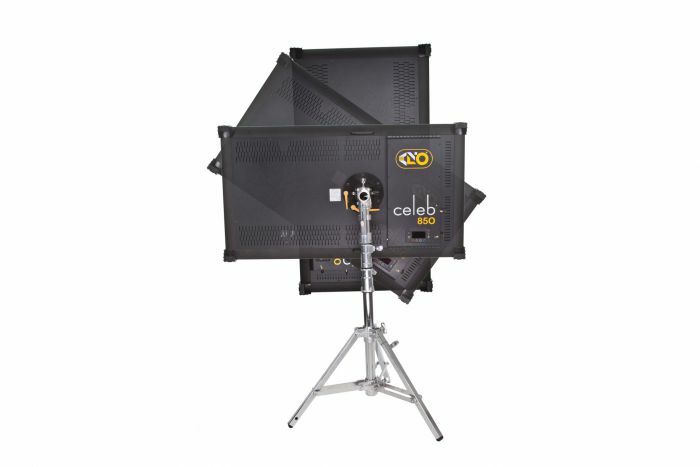 This is a range of equipment that will give you great results on camera, added to this you can also expect years of reliable service and great residual value.